Content Management System offers a collaborative way for different staff members to provide various content. Document Delivery System which is simple, searchable, and whose documents are crawlable and indexed by search engines. Two Distinct Organizations – One Interface for complementary efforts (brands) maintained under one administrative interface. Responsive Website Design allows the new site to display properly on many different devices, screen sizes, platforms, and orientation. Free – First and foremost, it’s an Open Source Web Publishing Platform which allows for programmers to customize and distribute code. Extensibility – Equally important, WordPress offers the ability to add limitless capabilities without a complete re-engineering. Clean Code – Also, WordPress has clean code. In other words, conflicts and bugs are minimal preventing expensive fixes later. Simple Interface – Last but not least, a simple interface results in a shorter learning curve. Your employees spent less time trying to understand how to implement basic tasks. To summarise, this environmental organization is now able to reach a larger audience. 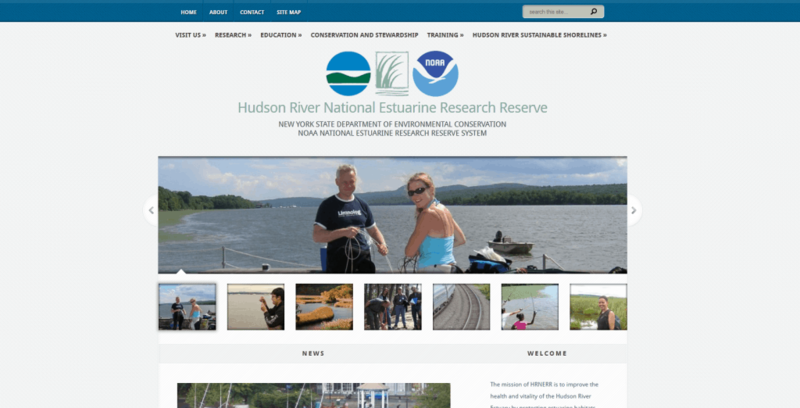 Due to the fact that Hudson River National Estuarine Research Reserve is now a responsive website design, it can be viewed in many different devices reaching more eyes.